Attendees and members are encouraged to provide a manager/boss/supervisor's name so he/she will receive a personal invitation to attend this special event gratis. So even if you cannot attend this event yourself, you can invite your management to attend for free! Please click here to provide the information needed. Senior Management Night is our most esteemed Professional Development Meeting every year! At this meeting, annual awards are presented to individuals and companies that truly made an impact to our chapter and the field of operations management, but locally and globally. Subba Nishtala is the Director of IT Resources and Planning at Arizona Public Service (APS) in Phoenix. He is responsible for Architecture and Strategy, IT business planning, the IT Project Management Office, software and hardware license management, and resource planning. Prior to joining IT in late 2012, Subba was the Director for Strategic Procurement in Supply Chain at APS and was responsible for developing and leading APS’s strategic sourcing strategies, processes, tools, and staff. The scope of his responsibilities included strategic procurement and long range planning for services and materials for Power Generation, Transmission and Distribution, Information Technology, Renewables, Smart Grid, and Corporate Services. 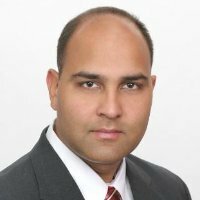 Subba’s experience includes management consulting, electric system operations, energy trading and pricing, and financial risk management. He has an MBA from University of North Carolina, Chapel Hill, and an MS from North Carolina State University in Environmental Engineering.